Climate Action Network Europe (CAN Europe) bring together 140 European environmental organisations to campaign on climate change. When their Communications Manager went on maternity leave, in my role at ngo.media, I started to regularly help out with editing reports and editing copy for the organisation’s annual review. To edit rough copy and information written by a non native English speaker into a well structured, well written annual review that showed CAN Europe’s impact to its funders and members. 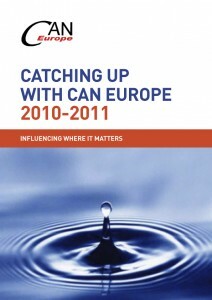 A short, yet compelling annual review focusing on the difference CAN Europe makes, which the organisation is using to market itself.